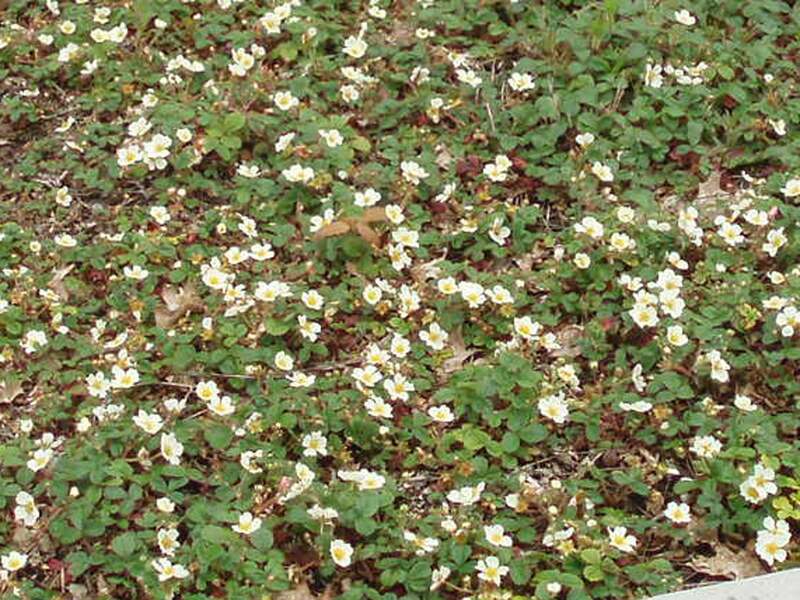 Coastal strawberry (Fragaria chiloensis) sends out runners and spreads rapidly to cover bare ground or woody mulch. This Washington coast native thrives in full sun or part shade, and produces delicious bright red fruit (try to harvest them in the morning before the birds eat them!). 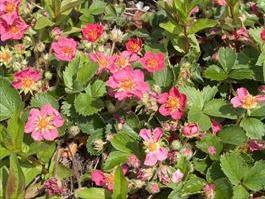 Coastal strawberry is semi-evergreen, with dark, glossy leaves that persist throughout the winter. This plant loves sandy, nutrient-poor soil and provides a beautiful, low maintenance alternative to ornamental strawberries.